You need a visa to enter Vietnam before you travel to the country. It’s easy to organise a Vietnam visa in Bangkok if you know where to go. Vietnam is one of the few countries in the world where you can’t get get entry to the country simply by turning up. You need to make sure you already have a visa organised before you arrive in Vietnam – either by visiting an embassy for the visa to be put in your passport, or by applying online prior to arrival and collecting your visa on arrival at the airport. If you don’t have a visa, they won’t let you in. You can apply for the E-Visa at the official National Web Portal On Immigration – you upload a scan of your passport and a photo, fill in your details and pay the fee. Once your visa is approved, you can print it out to show to the immigration official when you go through Passport Control in Vietnam. Note that this is NOT the same as the Visa On Arrival scheme offered by numerous companies where you have to collect your visa on arrival (see below for info on that). You can apply online for a Vietnam Visa which you need to collect on arrival at one of Vietnam’s airports – note that while this is called a “visa on arrival” service, because you get the visa when you arrive at the airport, the application MUST be filed and paid for BEFORE you enter the country. You can read Russ Brooks’ first hand (positive) experience of applying for a Vietnam visa on arrival online here on Travelhappy. Alternatively, getting a Vietnam visa in Bangkok is pretty easy. Get a taxi or BTS Skytrain to Wireless Road (Soi Wittayu) in the centre of Bangkok. On the Skytrain you get off at the Phloen Chit stop. Walk out through the elevated skywalk and then down the stairs onto Wireless Road. There is a huge dark gray futuristic-looking building on the corner called Park Ventures Ecoplex on the corner of Sukhumvit Road and Wireless Road, so you’ll know you’re in the right place. Walk down Wireless Road towards All Seasons Place, which is a huge mall and office block. (There is a big map on a board in the BTS station – check it before you go out through the exits to ensure you know where you’re going). You will need two photos for your Vietnam visa application. If you haven’t got them already, there is a photo shop that can do passport photos in Wave Place, which is the mall on the opposite side of the road from Park Ventures Ecoplex. You can see Wave Place from the Skywalk before you go down on the street. Walk along Wireless Road for about five minutes. The Vietnamese Embassy is just along here, but it’s easy to miss because you are so close to it. Look for this door, which is the entry to the Visa Application area. Once inside, fill in one of the application forms and then submit it at the window along with the appropriate fee. As at February 2015, it’s 3000 Thai Baht for a single entry visa if you want it ready next day, or 2400 Baht for processing in 4 days. There currently is no same-day visa option. You need to submit the visa application between 9am to 11.30 am and 1.30pm to 4.30pm. Make sure you drop it early in the morning for the next day service. Please note that the Vietnamese Embassy tends to change its prices and delivery schedule quite frequently, as you can see from the comments below. Don’t be surprised if the prices have gone up or the processing days have changed. Take extra cash with you. Also, please leave a comment here with changes to pricing and I will update the article accordingly – thanks! Also make sure you request a multiple entry visa if you intend to exit and re-enter Vietnam during your travels, otherwise you’ll have to apply for a second visa all over again. Multiple entry visas unsurprisingly cost more. 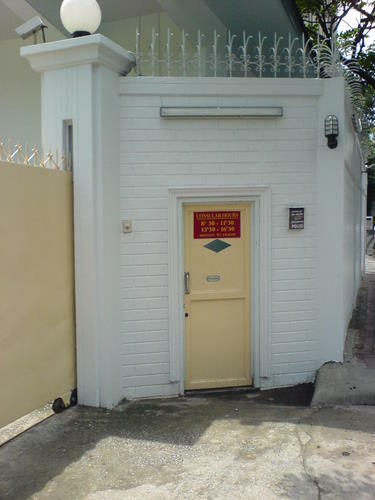 You can check on the Vietnamese Embassy website for updates to prices and opening times, but the site seems in semi-hibernation. 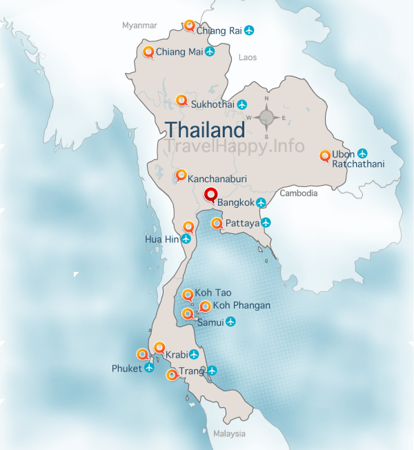 If you are travelling to Cambodia and intending to go on to Vietnam afterwards, you can cleverly get a Vietnam visa without any wait at the Sihanoukville Vietnam Embassy. This trick is listed in the Lonely Planet Cambodia and I’ve done it myself (although it was long time ago so double check it’s still operational). 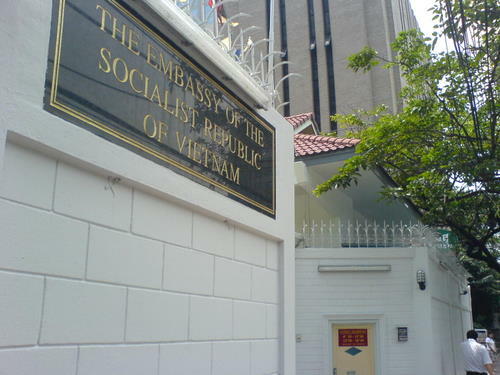 You simply turn up at the Vietnam Embassy – preferably mid morning when someone will be there and also have time to deal with your request – and they issue the visa on the spot. The gentleman who issued mine and Louise’s visas was certainly a lot more friendly than the harried Bangkok visa staff. 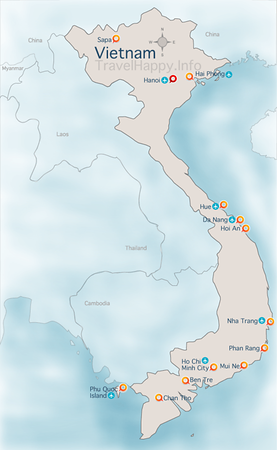 The Vietnam Embassy in Sihanoukville is marked on most maps of the city, although it can take a bit of cruising up and down the road on the back of motorbike taxis to spot its entrance gates. Note that this immediate issue only seems to happen in Sihanoukville and not any other Cambodian cities, including the capital Phnom Penh. You can still get a Vietnam visa in Phnom Penh, but you’ll have to wait for it.